Pura Beji, a subak temple which is located in the north of Bali in Sangsit around eight kilometres east of Singaraja. Why Beji Temple is special ? 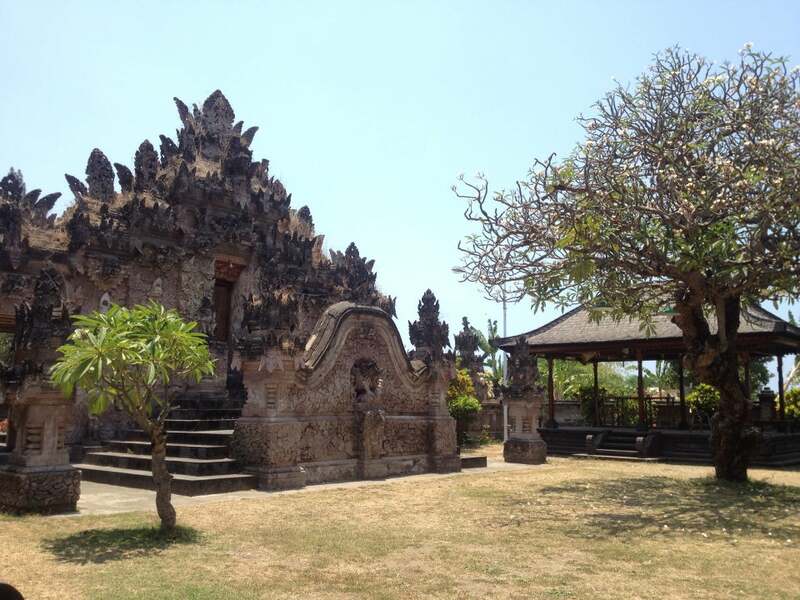 Pura Beji is a Subak temple, dedicated to the spirit that looks after the irrigation and rice fields. It’s about half a km from main road toward the coast. It was built in the 15th century on the site of a well. The temple is famous for its Barong architecture and virtuoso relief carvings. With its courtyards of clipped grass and old frangipani trees, it is a tranquil and refreshing place. The grand gate separating the forecourt from the inner courtyard spreads almost the entire length of the wall and is wonderfully carved on both the inner and outer sides. The principal shrines have staircases and turrets, and one gets feeling here that worship has something to do with the sheer pleasure of building things. 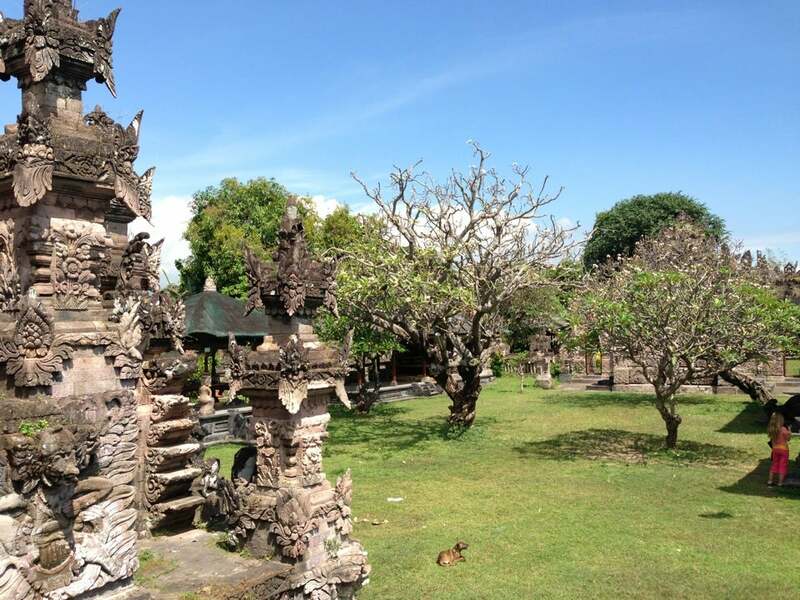 What to explore at Beji Temple? The Beji Temple is used to venerate Goddess Sri as the goddess associated with the agriculture in particular and is believed to be the Goddess who created the rice as a staple food. Neighborhood of the temple is also known as the neighborhood of Subak Temple for the area of Sangsit customary village, where the whole royal neighborhood is decorated with carving style as the mode of king of Buleleng in the form of propagating plants and floral motif characterizing the fifteenth century during the era of King of Majapahit. Entrance gates of the temple compound are decorated with two dragons as guardians of the temple. How to get to Beji Temple? This temple is located at Sangsit village, Sawan subdistrict, approximately 8 km east of the town of Singaraja and about 500 meters to the road leading to the beach. Entrance fee is by way of a donation and temple sashes are for hire at the entrance. If you didn’t know of its location one could easily pass right by it. Look out for the small sign on the left side of the road if you are coming from Singaraja. Follow the dusty path down to the sea. It is a historical temple with an old story behind it. You can ask your guide for details. We only went to this temple because it was not too far from the place we stayed in Air Sanih. But we were so pleasantly surprised at seeing one of the most ornate temples in Buleleng. The walls of the temple are full of beautiful, intricate carving, some of the fine details are still very well preserved. Tranquil and manageable on your own, this is a temple you can spend time appreciating without being harried and pressured by guides offering their services. We came in the afternoon, and we had the temple all for ourselves. After paying the entrance fee--10,000 rupiahs--we were left completely alone.